Top BHS managers have accused the former owner, Dominic Chappell, of being “a premier league liar and a Sunday pub league retailer, at best” who had “his fingers in the till”. Top BHS managers have accused the former owner, Dominic Chappell of being “a premier league liar and a Sunday pub league retailer, at best” who had “his fingers in the till”. The claims were made to MPs on the Business, Innovation and Skills Committee at the hearing on the firm’s collapse. He was also accused of threatening to kill the ex-chief executive of BHS, Darren Topp, in a row over company money. BHS made headlines last year when it was bought for £1 by Chapell’s company Retail Acquisitions. Today he defended his purchase and recovery plan for BHS stating it was “credible and viable”. Telling MPs that as the high street giant teetered on the edge of its collapse, former owner Sir Phillip Green had blocked a rescue deal with Mike Ashley of Sports Direct as he tried to buy it to save it from administration. Mr Topp claimed that he took Chappell’s claim of being a turnaround specialist and property expert at face value. However, he soon saw that as Chappell’s promises “unravelled” he “had his fingers in the till” rather than “putting money in”. Stating that he challenged him after “1.5 million had been removed via a manual transfer to BHS Sweden”. Topp called Chappell’s movement of the £1.5 million “disgusting” stating that it took place three days before the administrators were called in. The money was eventually repaid to BHS after Chappell was called to give it back by the board of the company. "I think I was duped. I think the technical term is a mythomaniac. The lay person's term is he was a premier league liar and a Sunday pub league retailer. At best." "I question his intelligence, he wasn't a retailer. The motive was purely for his own benefit. There is a big smell test which I adopt in a lot of these situations, and it just did not smell right,"
Chappel admitted that he had made a profit off BHS despite its collapse. However, he refused to state how much and claimed that he deserved it. 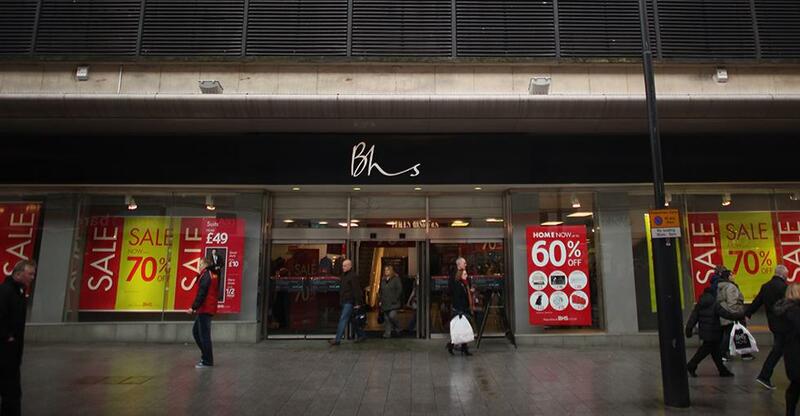 All 163 BHS stored in the UK will hold closing down sales in the coming weeks and more then 10,000 jobs will be lost, marking one of the biggest retail failures in UK retail since Woolworths closure in 2008. What can we learn from the demise of BHS?